In short… or long, maxi skirts are still in style! Appropriate for almost any occasion, and oh so comfy, maxi skirts are still in it to win it in your wardrobe this season. Here’s why maxi skirts are still in this year! It’s a fact: maxi skirts are long. So long that they’ll make your figure look longer as a result. 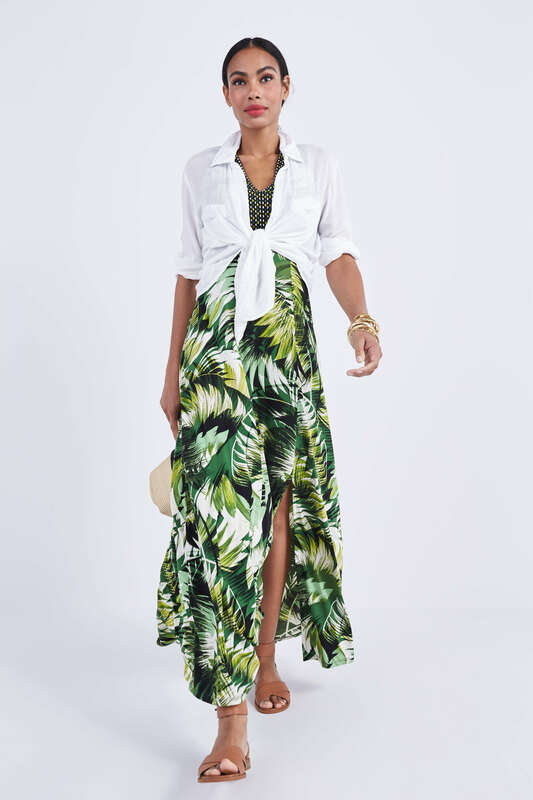 Since they fall from your hip to your ankle, a maxi skirt effortlessly elongates legs (and looks good on everyone) with that casual, “oh, this old thing?” ease. Maxi skirts are the vehicle to feature the season’s biggest trends. From palm prints to ruffles and leg-baring side slits, maxi dresses are the easiest way to rock the latest warm weather trend. Just pair it with an easy tee, your favorite summer sandals and go! Will you be rocking a maxi skirt this season? Tell us!